There is a lot of talk about globalisation in our days, yet people have never felt so isolated and so alone as they do today. This is especially true for those experiencing trauma and suffering because the globalised society is paradoxically more individualistic and insular. For us as the community of Revelation Family Church, alongside the other churches in Chichester, have a unique opportunity to stand shoulder to shoulder with our bothers and sisters of the persecuted church. 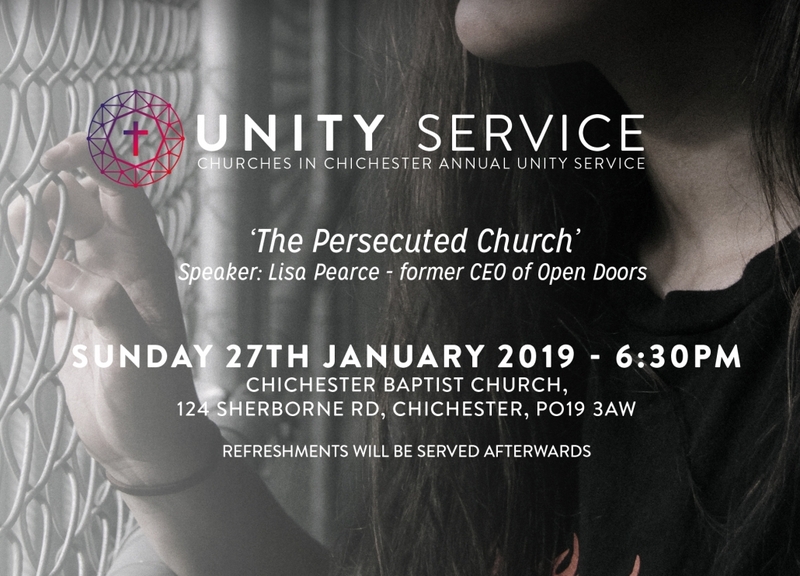 Sunday 27th January is a key date that we need to mark in our diaries as it is not only the annual Unity Service in Chichester, but as local churches we are turning our eyes, minds and hearts towards our brothers and sisters around the world as millions of Christians are actively persecuted because of their faith. The guest speaker for the Unity Service is Lisa Pearce, former CEO of Open Doors which works in over 60 countries supplying Bibles, training church leaders, providing practical support and emergency relief, and supporting Christians who suffer for their faith. In the UK and Ireland Open Doors works to raise awareness of global persecution, mobilising prayer, support and action among Christians. Come and hear more about it and come and be part of the chain link used by God to bring freedom and release to countless men and women, boys and girls who are part of our worldwide family. See below for more details. 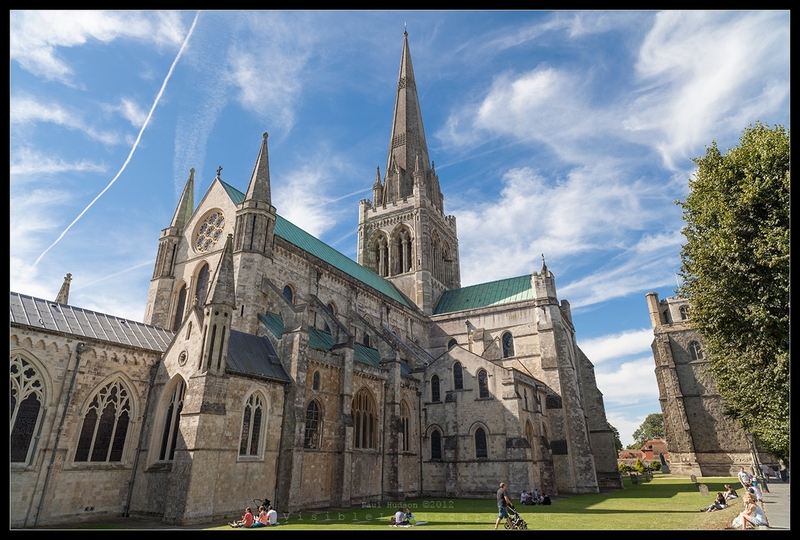 Last Sunday evening at 6pm in this amazing building which is the Chichester Cathedral where Christians have gathered to worship God for nearly a millennium was the wonderful opportunity for us as the church of God in Chichester, hundreds of Christians (Anglican, Baptist, Brethren, Catholic, Charismatic & Pentecostal) to gather together and showcase our ‘Mission Together’ in worship and thanksgiving at the Unity Service. Our Mission Together this year was represented by Anna Chaplaincy, the Bell Tower youth drop in, CAP (Christians against Poverty), CYE (Christian Youth Enterprise), City Angels, the Foodbank, Life Centre and Options. Over the past few years it has been great to see and be part of the journey of the Church in Chichester as it has moved from expressing its unity through simply a few meetings a year together to birthing and transforming and life changing works represented by the above organisations whereby Christians from all denominations are working together on a day to day and week to week basis to show the tangible love of God in our community. There is no better way of proclaiming and portraying our love for one another than through our mission together.